Uddhav Thackeray: I have not yet decided on allying with Congress or any other party. What's the hurry? Having secured a fractured mandate in the recently held election, the key players in the Municipal Corporation of Greater Mumbai are seeking out possible allies. Although the Shiv Sena has emerged as the single largest party, it has fared only marginally better than the BJP, leading to a deadlock in the MCGM. Neither party can take power on its own, and though they are partners in the state government, neither party appears inclined to ally with the other in the municipal body. Enter the Congress. The grand old party took a beating in the election, falling from 52 seats to 31, but is now emerging as the potential kingmaker. The Sena had walked out of its alliance with the BJP, claiming it would get a clear majority on its own. So certain were the party's leadership of victory, or so it seemed, they did not care much for burning bridges with the BJP. In fact, they went all out in attacking the BJP leadership, with the choicest of phrases reserved for Prime Minister Narendra Modi and Maharashtra Chief Minister Devendra Fadnavis. At a campaign meeting in Goregaon on 26 January, Sena chief Uddhav Thackeray went to the extent of pledging never to partner the BJP again. Apparently, he was given to understand that appealing to the Marathi voters' pride – Marathi Manoos – and hardselling the “work” done for Mumbaikars would get his party over the line. It turned out to be a miscalculation, to put it mildly. The Sena added just nine seats to its tally of 75 in the previous house. In stark contrast, the calm and focused campaign led by Fadnavis delivered impressively for the BJP – the party gained 50 seats, raising its tally from 31 in the last house to 82. The BJP's performance came at the expense of the Congress, the NCP and Raj Thackeray's Maharashtra Navnirman Sena, whose tallies dropped from 52, 14 and 28 seats, respectively to 31, nine and seven. The half-way mark in the MCGC is 114, which means that alliances for power are inevitable. And as it stands today, the Congress is in the most beneficial position. Indeed, the party's state chief Ashok Chavan has already indicated support to the Shiv Sena. 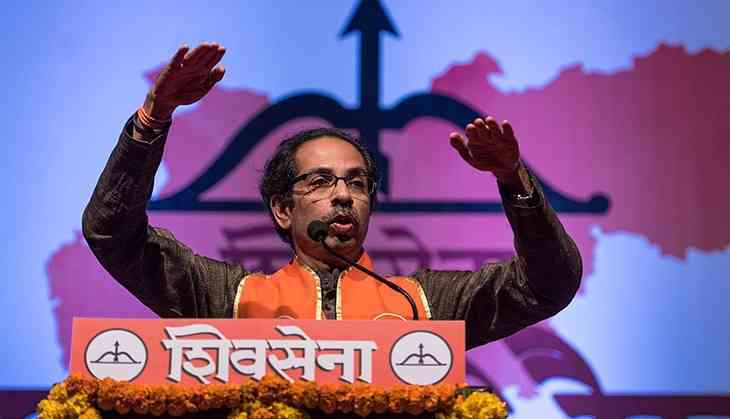 His offer, though, comes with a rider: the Sena must walk out of the BJP-led governments in both Maharashtra as well as at the Centre. Kamat said he has conveyed his opinion to Congress vice president Rahul Gandhi. Also Read: MCGM poll outcome: With BJP's impressive performance, is an alliance on the cards for Shiv Sena? His faction appears to be winning the argument. After Kamat's statement, many Congress leaders who had spoken in favour of allying with the BJP back-pedalled on Saturday. In all this frenzy, the BJP is an interested but quiet spectator, or so is the impression being conveyed. A late night meeting at the residence of CM Fadnavis Friday reportedly led to a consensus that the BJP should wait for the Shiv Sena to make its move. A senior BJP leader who attended the meeting said the dominant view in the party is that the Sena should be left to decide “whether it wants to go with Congress as that will end the dispute once and for all”. Still, as the saying goes, politics is the art of the possible.